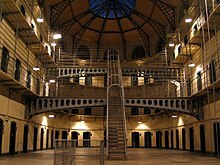 A place where people who have done a crime or a suspected of having done a crime are kept. To put someone in jail. This page was last edited on 23 April 2017, at 22:04.